Removing the tea towel to find the bowl of smooth, risen dough, not without little bits plucked and nibbled by hands that Just Couldn't Help Themselves. Those same little hands doing the good work of shaping dough. Tactile, deliberate, imperfect. Rolling, stretching, creating shapes that weren't there before. The lyre, the baby, the Christmas horse, the priest's hair — shapes that recall a tradition that long preceded us. Under the tea towel once more, allowing the buns to rise; impatiently waiting. Cuddle and read stories by the light of the tree. Oven hot, egg wash the buns. In they go. 8 minutes, maybe 9. Let them cool until the little hands cannot bear it any longer. Pull apart, savor the scent of saffron, share and eat with abandon. Smile at the magic of it all. Lucia, patron saint of light, a life worthy of celebration and a recipe befitting of her giving spirit. Lussekatter. 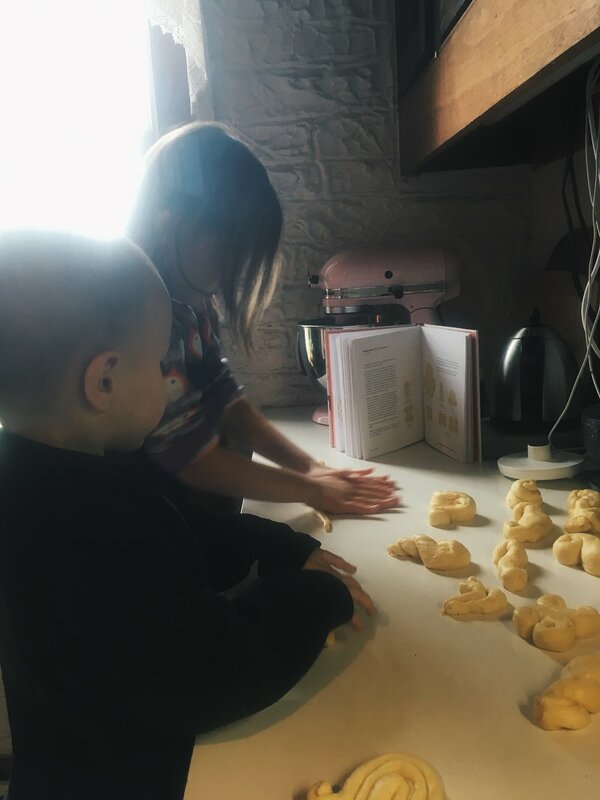 An Advent tradition we will abide for as many years as there are hands to shape dough. —An Advent journal entry of sorts, regarding December 13th, the feast day of Saint Lucia.